A flower that is available in a simply breathtaking array of vivid solid and intricately patterned colors, (probably the most quintessential wedding flower of them all). 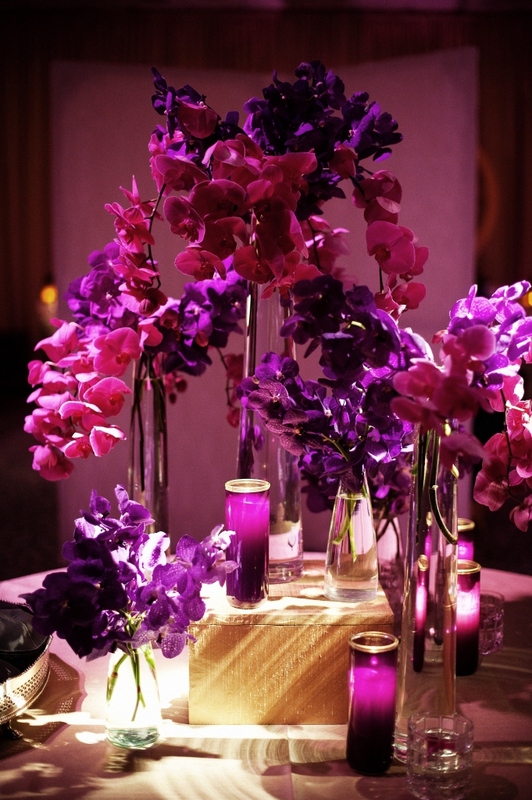 The more popular orchids employed in weddings include the cymbidium orchid, dendrobium orchid, phalaenopsis orchid and the oncidium orchid with red, pink, white, orange and yellow particularly popular color combinations. 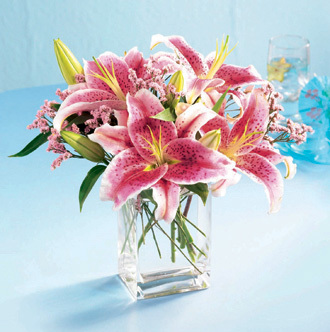 A strikingly large structured and symmetrical form flower, used in red and pink, these flowers make for an excellent focal point in any tropical bouquet and match well with other tropical flowers, particularly strelitza. An interesting exotic, almost alien-looking, powerfully fragrant flower of the lily family that gets its name from the bloom perpetually facing the sky in an almost esoteric endeavor to gaze endlessly upon the stars above (unlike other types of lilies). Technically actually a Strelitzia, these flowers are would not be out of place in a Steven Spielberg science fiction movie. The flower emanates the plumage of the bird of paradise family of exotic birds found mainly in New Guinea (the flower structure can almost be differentiated into the neck, beak, head and plumage of a bird), and generally a tropical bride will use only one or two specimens in her floral display because of their large physical size. 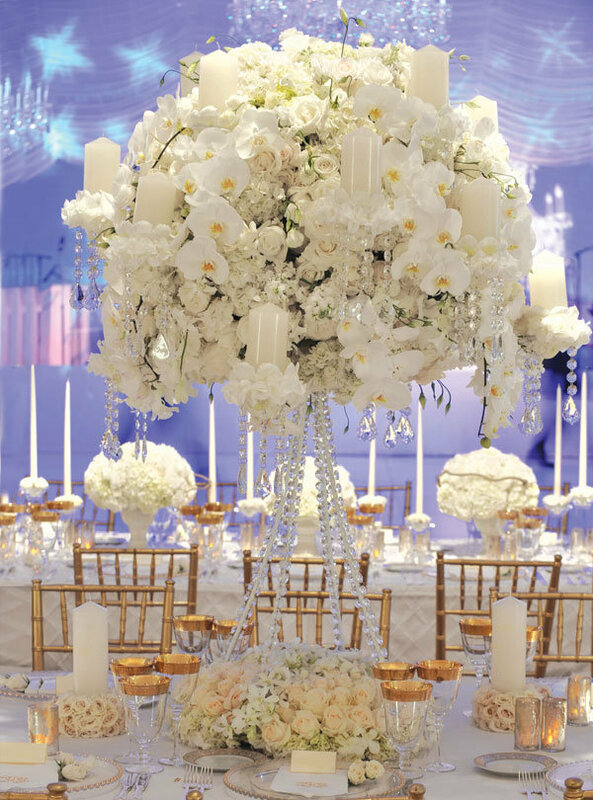 If white is an important component of your wedding theme and runs across your bouquets requirements, you will have difficulty in ignoring gardenias. Well known as the national flower of Pakistan, these popular and visually striking flowers are grown as a flowering shrub, sometimes referred to as Cape jasmine. 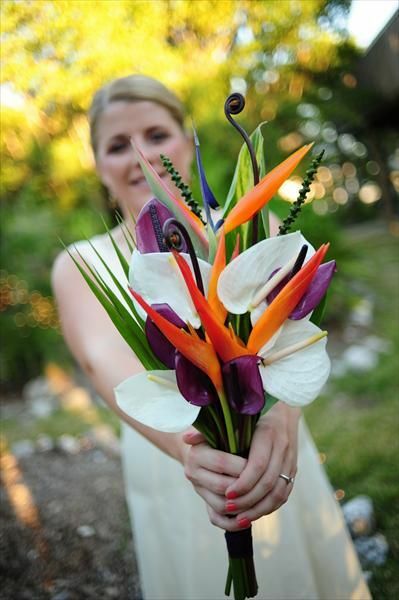 If bizarre but beautiful flowers interest you, then heliconias will form part of you tropical wedding bouquets wish list. These strange, yet remarkable vibrant and ornamental flowering bracts are also sometimes referred to as lobster-claws (or parrot flower) due to their striking vertical stature and obvious resemblance to two large orange lobster claws. Exotic by name and exotic by appearance, this small dainty and somewhat fragile flower that gets about 2 inches long, normally with 5 waxy petals, grows on trees and shrubs with dark green leaves and is particularly fragrant at night, a natural mechanism it exhibits to attract sphinx moths to the flowers which inadvertently, but most effectively pollinate the flower. 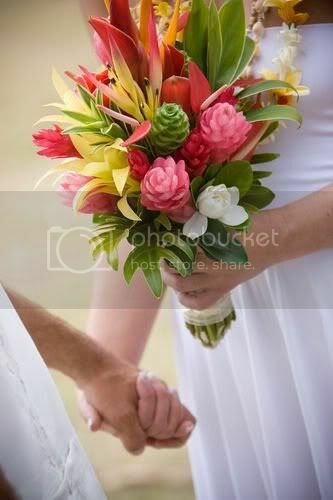 If there was one tropical flower in existence at the time of Adam and Eve it would have been an anthurium. This provocative, yet beautiful flower is unquestionably one of the most visually remarkable tropical flowers in existence and appears almost to be manufactured from bright plastic. Nature never goes out of fashion and the hibiscus flower is no exception to this. A true, ubiquitous all-rounder, this is a flower for all occasions, and is especially effective in tropical wedding bouquets. A funnel-shaped, slightly disheveled flower, characterized by 5 large, lobed petals, a central staminal column and dark green leaves, hibiscus flowers almost appear to have been constructed out of fine tissue paper. The national flower of South Africa, proteas are generally a ubiquitous flower commonly found in African shrub land. 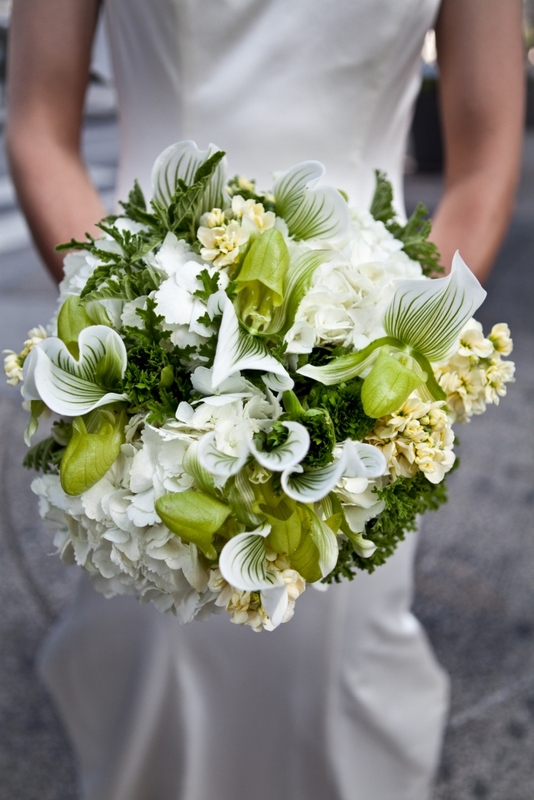 These very popular and unique flowers are used in most instances as a striking focal point in a bouquet, particularly when used in bridal bouquets. If diamonds are a girl's best friends then flowers are a bride's best ally. 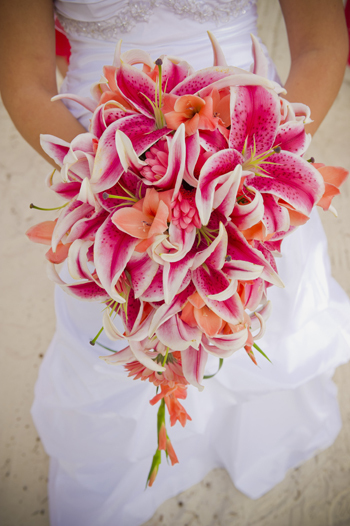 Not only do flowers have the propensity to infuse your wedding with a kaleidoscope of multihued color and intoxicating fragrance, beautiful flowers simply bring a sense of holistic energy and effervescent jubilation that is unique.